These Caramel Apple Nachos make a deliciously easy snack that’s perfect for just about any time. 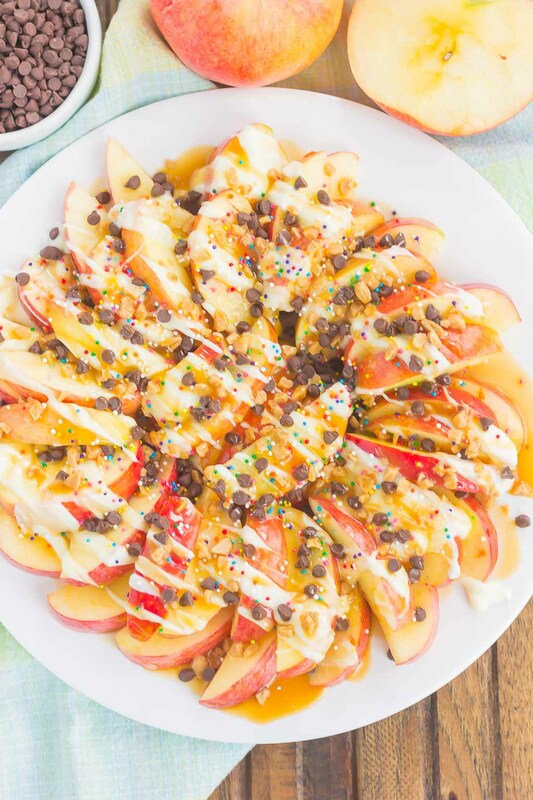 Apple slices are drizzled with a rich caramel sauce and white chocolate, and then topped with toffee bits, chocolate chips, and sprinkles. This simple treat is ready in less than 10 minutes and is sure to be a crowd-pleaser! We’re just two days away from Halloween and only three days away from November 1st. The reason I ask is because it always seems that come November 1st, it’s an explosion of holiday cheer everywhere. Yep, we skip Thanksgiving, for the most part, and go straight to Christmas commercials galore. Even the cable channel Freeform is showing their ‘Kickoff to Christmas’ schedule by showing holiday movies from November 1-31st. Say what? Even I think that’s a little extreme, since come December 1st, it’ll be the exact same schedule of holiday shows on that channel. Even though I’m looking forward to the holidays, I’m trying to savor what we have left of fall. And that starts with some fall treats, of course! When I stopped at Meijer last week to do my grocery shopping, I came across Torani Sauces. I love their syrups and was excited to find Torani Caramel Sauce, Dark Chocolate Sauce, and White Chocolate Sauce. 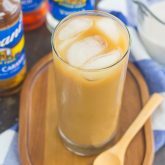 Torani is a flavor expert, with products that create delicious desserts and drinks. It’s a third generation family owned business that has been crafting drinks in the cafe industry for over 90 years. Interested in trying Torani? With this rebate offer, you can buy one (1) Torani Sauce and get one for free. Now through 12/31/18, or while supplies last, available at Meijer. 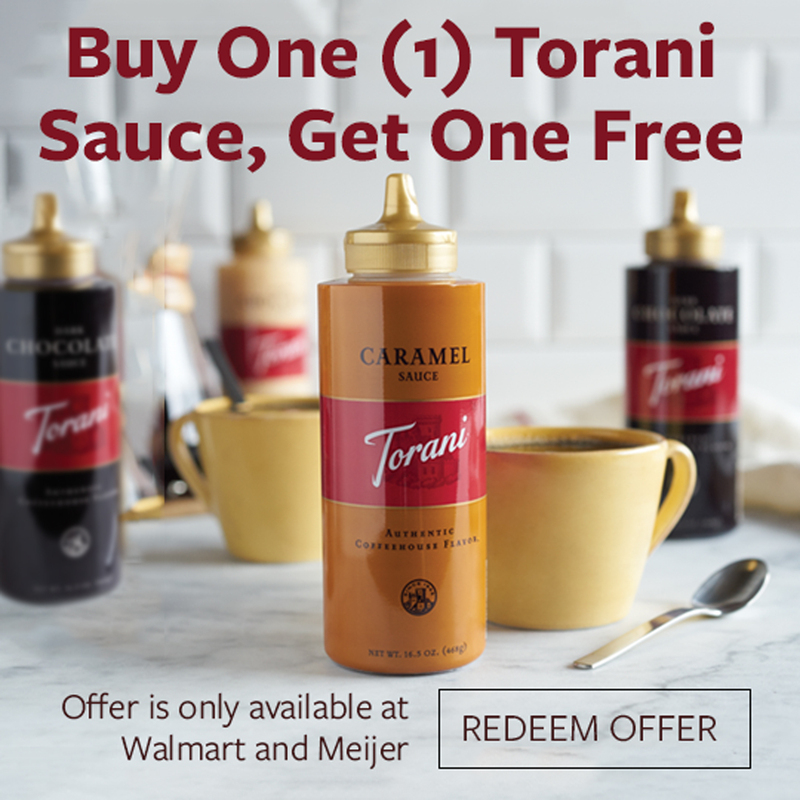 To redeem, visit your nearest Meijer location and purchase two bottles of Torani Sauces (you can choose from Caramel, Dark Chocolate, or White Chocolate flavors). Take a picture of your receipt and then enter the rebate experience to upload your photo. Once your receipt is verified, you’ll receive your money back on the second bottle! 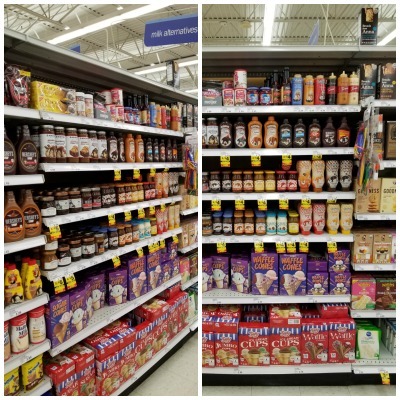 Torani Sauces were so easy to find at Meijer and can be used delicious mochas and as dessert toppings, just to name a few. It’s almost made with real, simple ingredients, like pure cane sugar and natural flavors. Head to the Torani Store Locator to find your nearest location. 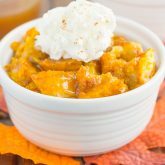 After heading home with Torani Caramel Sauce, I eagerly went to my kitchen to whip up the best fall treat. 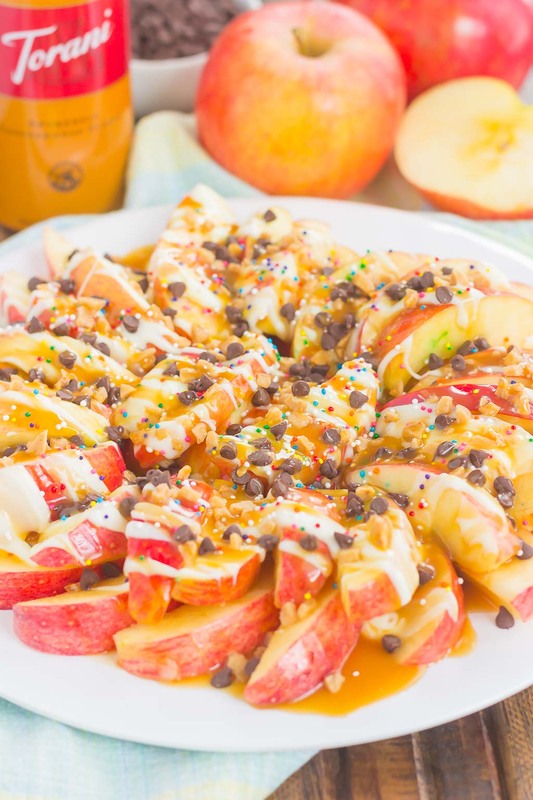 If you’ve never tried Caramel Apple Nachos before, now is the time to start! Not only is it a breeze to make, but it’s so versatile, too. 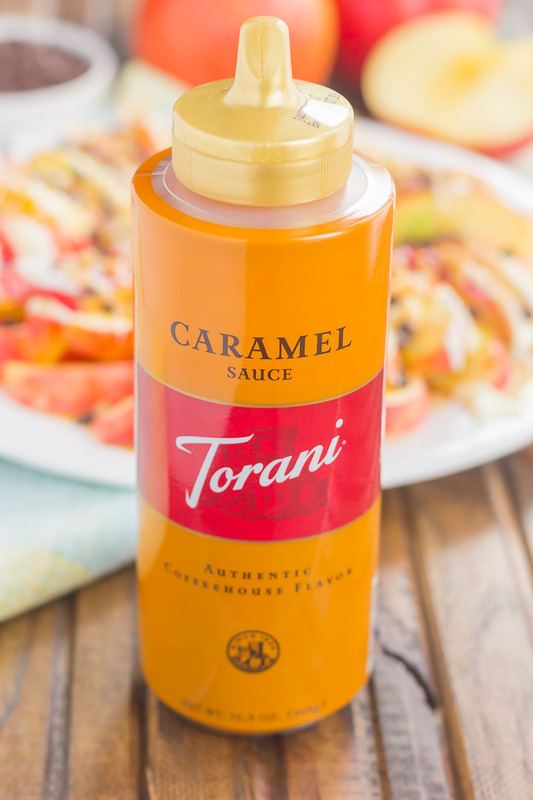 Don’t want to use Torani Caramel Sauce? Switch it out for the Dark Chocolate Sauce! Don’t like toffee bits? Swap it out with another candy! See what I mean? After the apples are sliced and arranged on a plate or platter, it’s time for the fun part! Drizzle as much Torani Caramel Sauce on as you would like, followed by the toffee bits and chocolate chips. You can also add a touch of sprinkles for a pop of color! One bite and you’ll be hooked on the sweet taste of the apples, combined with the caramel, white chocolate, and sweet toppings. 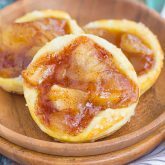 Easy to make and fun to eat, everyone will enjoy this sweet treat all year long! 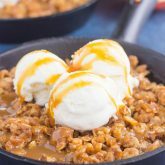 These Caramel Apple Nachos make a deliciously easy snack that's perfect for just about any time. 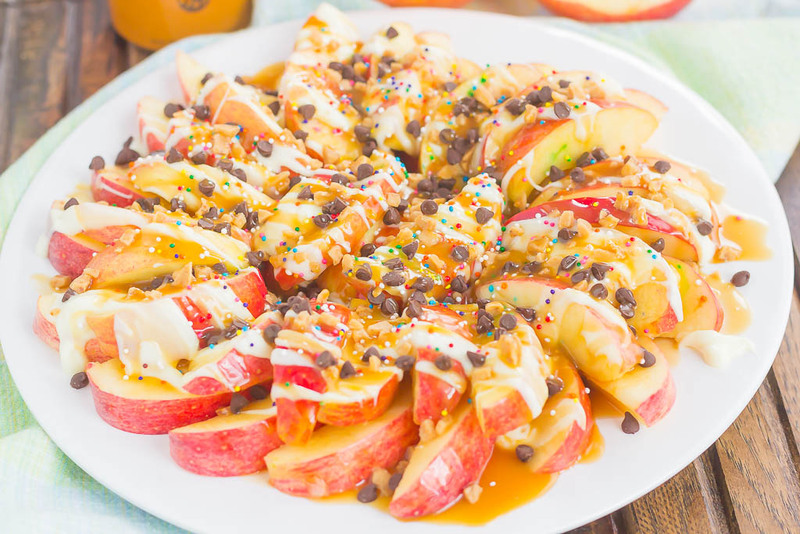 Apple slices are drizzled with a rich caramel sauce and white chocolate, and then topped with toffee bits, chocolate chips, and sprinkles. This simple treat is ready in less than 10 minutes and is sure to be a crowd-pleaser! Arrange sliced apples on a platter or plate. 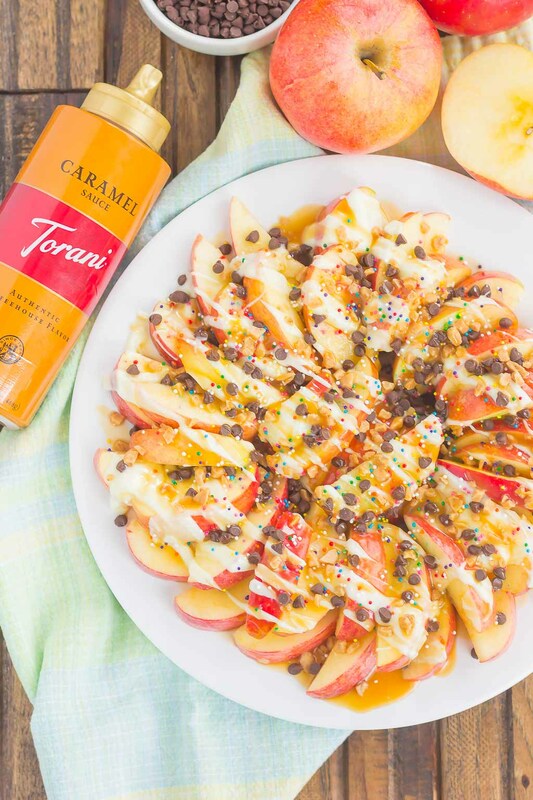 Drizzle the apples with the Torani Caramel Sauce and melted white chocolate. Top with toffee bits, mini chocolate chips, and sprinkles. Like what you see? Be sure to head to your nearest Meijer! 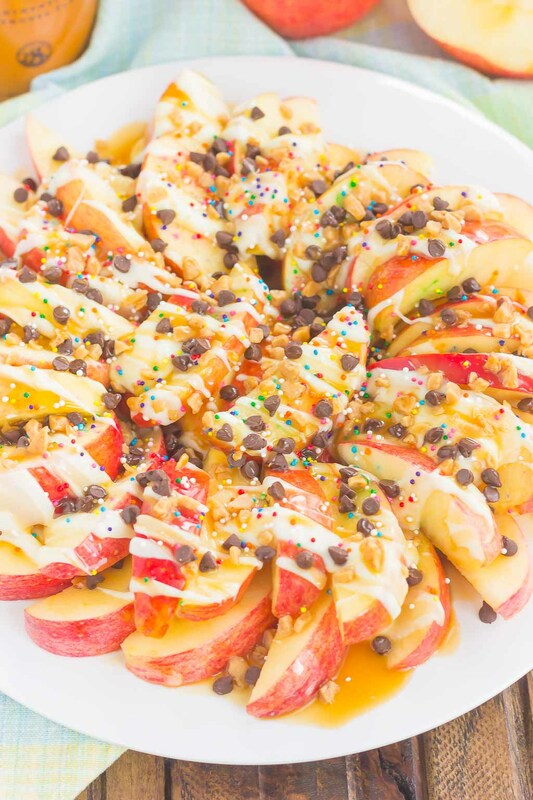 I love how easy these caramel apple nachos are to eat! So much better than any whole caramel apple. I'd demolish a plate of these in no time!